In a fictional study never performed, 100% of dealers admitted their preloading program was one of their biggest factors hindering them from selling accessories in the showroom. Jokes aside, this really is a common theme that dealers are often getting snagged on. We all know that vehicle personalization is a multi-billion dollar industry, but with popular vehicles preloaded on the lot and showroom floor, dealers shy away from bringing up additional add-ons to their customer. The result? The customer just buys what they need somewhere else. Of course, there are valid reasons for preloading, whether it’s an attempt to prevent damage or theft on the lot or just adding popular touches to the showroom inventory. Follow Insignia’s best practice tip on preloading to make your preload strategy work with your accessory profit instead of against it. 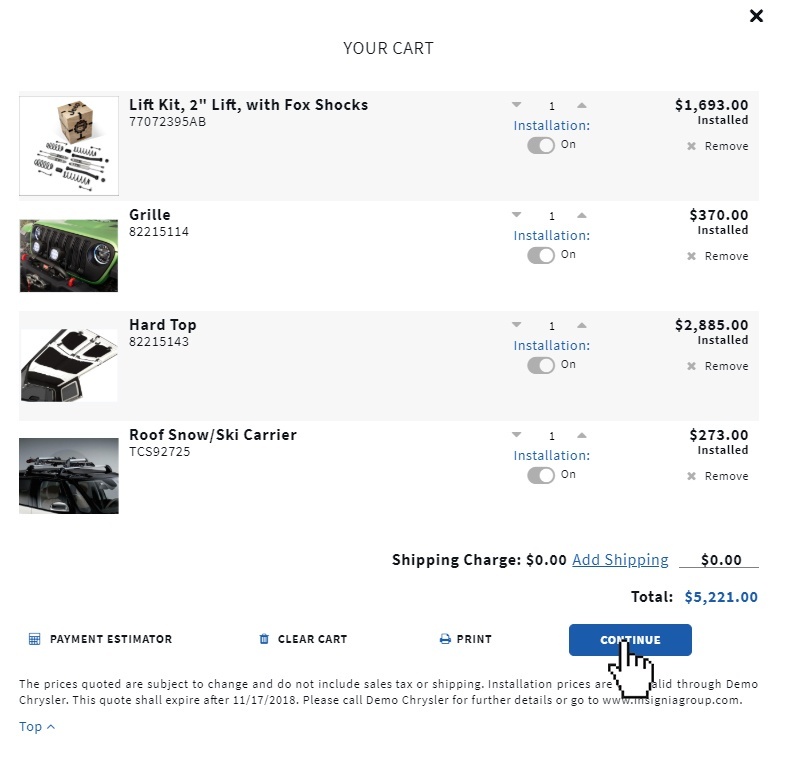 Preload with lead in products | One of the best ways to master the accessory presentation to make it a shopping experience rather than a pitch is to utilize a lead- in product. Lead- in products are simply a very popular accessory that every salesperson becomes an expert on, and details to their customer as a lead-in to the showcasing all the options. In the case of a preload in particular, the personalization conversation begins immediately, rather than after the sale is finalized. This method is just another version of our “start at the trade” mentality about accessory sales, meaning that personalization is thoroughly incorporated into the sale rather than an afterthought. After explaining why this is the accessory in highest demand, the salesperson can be confidently upfront about the item being preloaded on the vehicle and go straight into other accessories that complement and add value. Engaging the customer about the preloaded accessories upfront builds trust and enables the conversation to flow freely about the customer’s likes and objections. 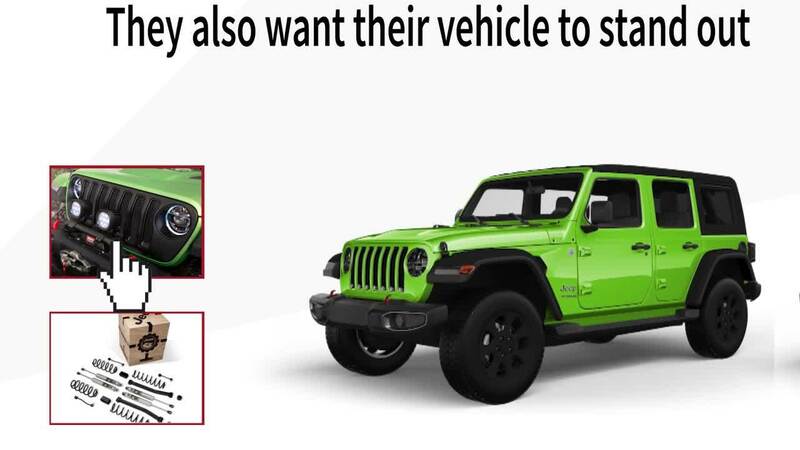 Isolate objections early | When you divulge all the accessories preloaded on a vehicle without pretense, the salesperson gains valuable insight into the customer’s view of personalization. As a person who makes a living in sales, everyone on the sales floor should agree that identifying what a customer’s potential objection or hesitation may be is the first step to overcoming it. Even when the customer doesn’t love all the preloaded accessories or even asks for them to be removed, you’ll get the opportunity to find out why and listen for other dominant buying motives as you build rapport throughout the sale. Maybe you find out early that this customer thinks they’re adamantly against anything that serves as a visual enhancement, but they’re ready to get off the lot quickly because of the cold weather. Now you know your customer would benefit from a remote start and/or heated seats to regain your profit. Appeal to the eye | According to Forbes, 65% of the population are visual learners. If you want to preload your showroom vehicles, don’t hide the additions by way of accessories that few will recognize as additions. Accessories you can see, touch, and explain not only build trust, but they also open the door for conversation. This is not the time for neon LED lighting kits--don’t get crazy. As the salesperson points out the few nice touches on this vehicle, there’s an opportunity to recommend a complimenting or same category accessory very naturally in the conversation.